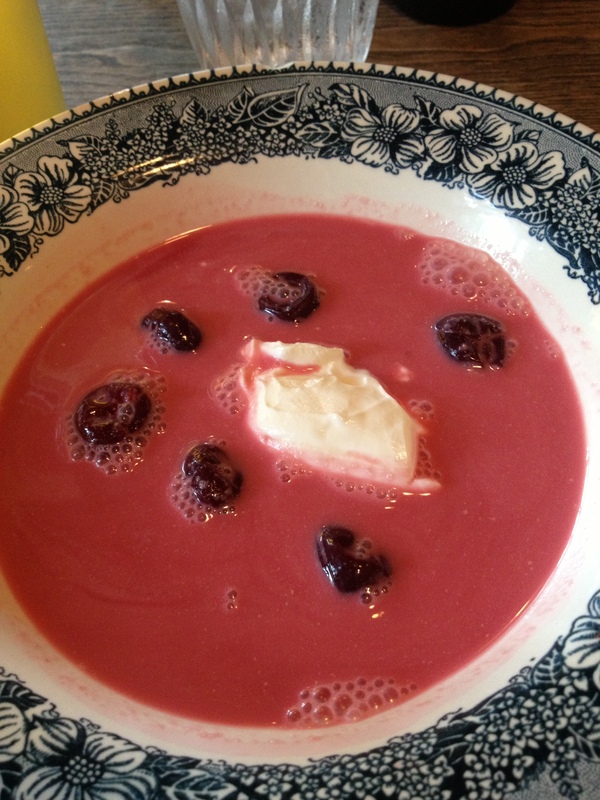 Cold cherry soup at Bistro Europa, only while the Niagara cherries were in season. The day it closes Bistro Europa, the 28-seat restaurant that had an outsized impact on the Buffalo restaurant scene, is getting lovies from its acolytes. Check them out in full on Facebook. I got three years of culinary education in the basement of an old Subway Restaurant on Elmwood Avenue. Today we bid a fond farewell to the little bistro that could. Not gone forever - just growing with its owners into what it should be, and what they deserve. I posted about a year ago that Bistro Europa was the best kept secret in Buffalo. I said "Get there now, because when this place ends up on the front cover of a magazine, you're gonna want to say "I ate crispy pig ears at that joint while the Owner sang along to Wu-Tang behind this weird curtain in this little tiny restaurant. You wouldn't believe it." "3.) being able to answer the question of "you're a chef, whats your favorite restaurant in town" with "what do you mean you have never been to europa?" every single time. 5.) having to do pushups on the bar mat at 5am to get tmeadow giuanciale carbonara at 6am"
20.) offering the guy next to you a bite of your dish, off your fork, and having it be okay that he takes it." Who else would let me come in on a busy Saturday night and take pictures????? I will miss the little intimate place known as Bistro Europa.... but, I'm so excited to see what is going to happen with "Black Sheep". I know that this place is going to ROCK and go above and beyond Steve and Ellen's wildest dreams. The Black Sheep Restaurant is expected to open later in 2014. No pressure.